James Silvani is a comic book artist best known for his work with Disney comics and publishing. 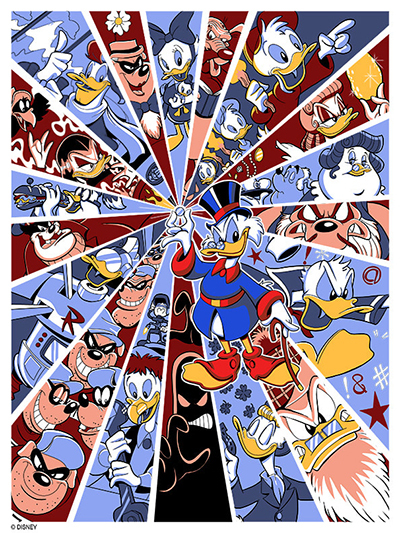 Over the last several years he has been drawing the further adventures of Darkwing Duck as well as DuckTales and the Muppets. James is also the author of the book DRAW-A-SAURUS; Everything You Need To Know To Draw Your Favorite Dinosaurs (Watson Guptil/Random House). He also produces licensed fine art for Disney, Lucasfilm and Dreamworks. Other projects include comics for IDW as well as merchandise for TMNT, Transformers and Warner Bros.